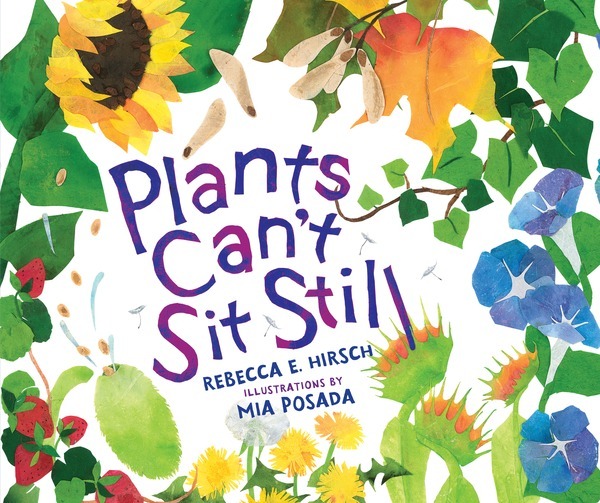 Today, author Rebecca E. Hirsch stops by the blog to talk about writing, gardening, and Komodo dragons. 1. You’ve written more than twenty books for Lerner, most of which are on science topics. How did you decide to be a writer, and how did get into writing science books for children? Growing up I had many outdoor adventures. Together with my older sister, I was always climbing trees, wandering into briar patches, wading in streams, catching toads and other animals. Because I was fascinated by the world of living things, I went to school for science, earning first a bachelor’s degree and then a Ph.D. in the life sciences. For the first few years after graduate school, I worked as a postdoctoral scientist, but my heart was not in laboratory research. At that time, I had two young children at home, and I decided to step away from the lab and find something else that would tap my love of science and nature but that would be flexible for my family. Meanwhile, I was taking my children to the public library, reading to them constantly, and falling in love with children’s books. I remember standing at the library one day, looking at rows and rows of children’s nonfiction books and thinking, hey, maybe I could write science and nature books for children. I began by waking early to write when the house was quiet. I was not very good at first, but I kept at it and I read lots of children’s books and gradually I got better. 2. How is writing writing single titles different from writing series nonfiction titles? With single titles, the idea might begin with an editor or it might begin with me. Either way, I begin by writing a proposal, which is ten pages or so detailing the approach I plan to take, outlining the chapters, and describing why I think this idea would make a great book. The proposal then goes to the editor and, if the editor thinks the proposal is strong enough, then the proposal goes to an acquisition team who decides whether or not to move forward. If the proposal is accepted, then I’m off with more research and writing. With series nonfiction books, I come into the picture a little later in the process. An editor approaches me to see if I would be interested in writing for the series. By this point, the idea and proposal has already gone through the acquisition process. Decisions like the focus of the book, tone, length, and grade level have all been made. My job is to find the most compelling content and the best way to approach the topic within the editor’s guidelines. I try very hard to match the editor’s vision for the series while creating something that will inform and entertain readers. 3. Your first picture book, Plants Can’t Sit Still, is coming out this fall and already has starred reviews from Booklist and Kirkus Reviews! What gave you the idea to write about plant activity? Plants Can’t Sit Still is a book I wanted to write for many years. Back when I was a scientist, my research area was plant physiology, which is the study of how plants do the things they do to stay alive. I was very interested in different kinds of plant movement. After quitting the lab, I became an avid gardener and continued to observe plants in my garden. One year I grew morning glories along the fence around my vegetable garden. Big mistake. The morning glories climbed the fence then reached over and smothered the tomato plants, then moved onto the bean plants. Every time I came out to the garden they had conquered a little more of the garden. But this aspect of plants—as active, moving creatures—is not the way most people think about them. I thought it was something children would enjoy. Pulling the idea into a manuscript took years of work. I would work on the manuscript, get stuck, and put it away in a drawer. Six months later, I would pull it out, work on it some more, then return it to the drawer. This went on for a while. It took many tries before I had something I felt would be worthy of being read. Happily, [editor] Carol Hinz agreed! 4. A lot of the books you’ve written for Lerner have to do with animals—which animal has been your favorite to research? Do you have any favorite unusual facts to share about animals you’ve researched? Some animals are favorites because they’re just downright creepy or scary. Komodo dragons come to mind. There are other animals that I love because they’re so, well, lovable. 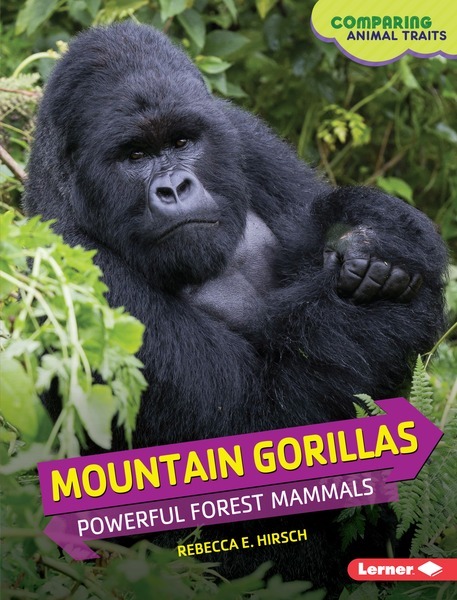 Mountain gorillas are definitely a favorite. They’re gentle and strikingly similar in their behavior to humans. I have so many favorites, but I’ll stop with just those two. I could go on and on. Finding unusual facts about animals is one of the favorite parts of my job. For instance, mountain gorillas build nests before they go to sleep each night. I love the image of gorillas bedding down in nests every night. And Komodo dragons, in addition to being the largest lizards on the planet (growing sometimes ten feet long), have venom glands in their jaws. 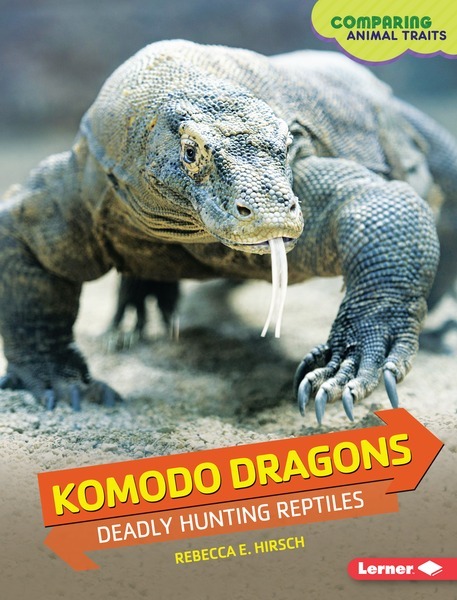 If a Komodo dragon’s prey escapes the initial attack, the venom will soon kill the escapee. The dragon slowly follows, using its fabulous sense of smell to track down the dying animal. See, I told you they were scary. Spending time with my family, of course. Cooking and baking—baking bread is a favorite. Planting and tending gardens. Reading, a lot of reading! 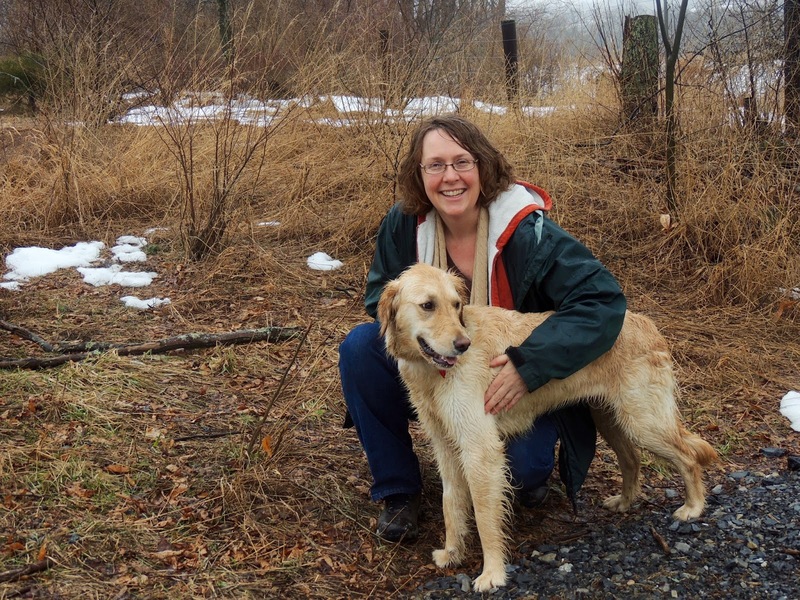 Taking walks in the woods with my very active golden retriever. great interview! Thanks for sharing your thoughts, Rebecca. 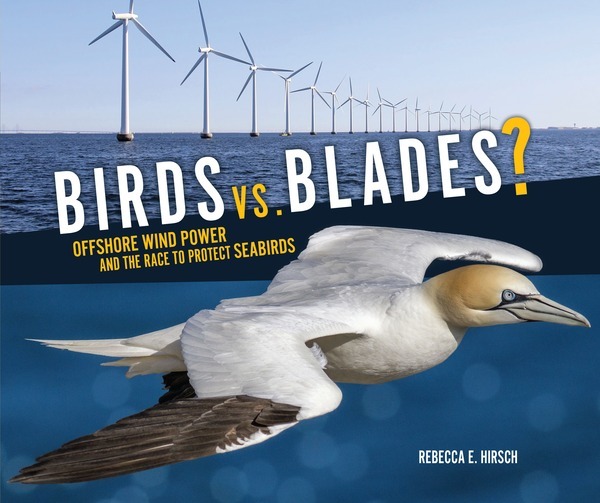 Congrats on your picture book, Rebecca!